My alma mater, IIT Kharagpur is once again in the news with a great device – an artifical heart. It’ll be to coronary care what Nano is to cars, say scientists at Indian Institute of Technology, Kharagpur, who have devised an an artificial heart that could save lives for just Rs 1 lakh – reports the Times of India. The research team says trials of the prototype lab constructed heart have been successful on small animals and the gadget is being perfected on goats. The institute has applied for permission to conduct human trials. 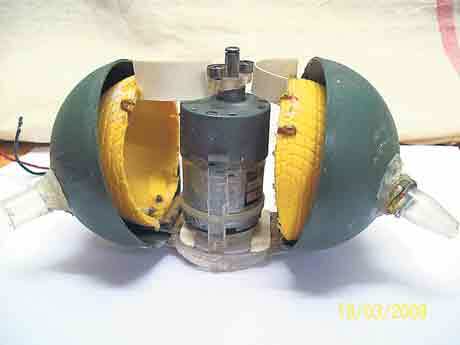 The Total Artificial Heart (TAH) — said to be the first such in the country — has been developed by a team of scientists at IIT-Kgp’s school of medical science and technology. After four years of painstaking research, the scientists say their creation is better and far more affordable than the first artificial heart developed in the US, which showed a “high rate failure” and at Rs 30 lakh, beyond the reach of the common man. The inventors hope to fit the heart into an ailing patient within a few months, once permissions from the Indian Council of Medical Research come through. The unique 13—chamber heart is working fine in small animals, said a member of the team. Human tests are to be conducted at Medical College and Hospital (MCH), Kolkata. Senior cardiac surgeons — Madhusudan Pal, Bhaskar Ukil, Tarun Saha and Kalishankar Das from MCH and Rajiv Narang of AIIMS, Delhi — will conduct the human trials. “We are also in touch with P Venugopal, former AIIMS director and one of the leading cardiac surgeons of the country. We expect him to be part of the team as well,” said Sujoy Guha, IIT-KGP faculty member and bio-medical engineering expert, who is leading the artificial-heart team. “The TAH will be of great help to patients whose heart muscles have become so weak that they need immediate transplantation. Angioplasty, stents and even bypass surgery are of no use for such patients because they cannot strengthen muscles. It is difficult to find donor organs and even if transplantation is done, the body develops auto rejection and severe medication is required to suppress immune reactions,” said Guha. “TAH will be a life-saver, for the price of a Tata Nano,” said one of the scientists. “Bengal may have lost the Nano, but the world cannot miss this Rs 1-lakh invention.” News Courtesy of Times of India. This entry was posted in Generic and tagged heart, IIT, Kharagpur by sudipta. Bookmark the permalink.